Simply put, adding a booster pump to your plumbing system can help improve your life. Surprisingly, mane people are still not even aware of what these are. Working with our pros here at Moore & More Plumbing is the ideal way to get the information that you need, as well as the expert level workmanship you deserve. A booster pump is what helps increase the water pressure of water being delivered from the well into your residential or commercial plumbing system. It is a type of centrifugal pump utilized for causing a surge in the water that is present in the pipeline. There are different types of water pumps but these are details that can be discussed further during our consultation. What is important is making sure that you fully understand the benefits and advantages of adding this system to your home or business. Once you have had the opportunity to experience the difference, you will quickly come to realize why they have become so popular. So get in touch with us now to set up an appointment time for you! This boosts your water supply. This will make it easier for just about everything you do that utilizes water. From getting a glass of water, to washing clothes to taking a shower, you no longer have to settle for low water pressure. In most instances, these devices are relatively compact. So you do not have to have a lot of space to house this addition to your plumbing system. They can work in residential, commercial and even individual situations. Any place that you need an improvement for your water supply, you can rely on this to get the job done. 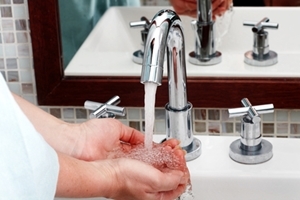 Stop putting up with slow or no water pressure. We can help improve your system which will enhance your day to day life. While this is a relatively easy job to handle, it should still be left to a professional. The good news is that this makes this plumbing service in Austin one of the more reasonably priced ones. 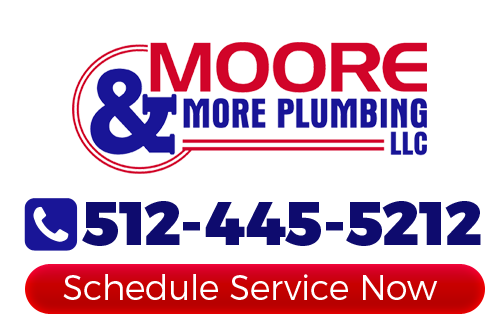 At Moore & More Plumbing our number one goal is to provide each customer with exceptional results. As your local Austin plumber, we want to work with you to, not just fix problems, but find ways to enhance your plumbing. Booster pumps are one of the best examples of an approach to take to make that happen. So give us a call today and let us provide you with the best results possible. If you would like an estimate for booster pumps in Austin or the surrounding areas, please call 512-445-5212 or complete our online request form.